Watching and waiting in the classic pose, this Great Egret had the perfect view over the marsh. 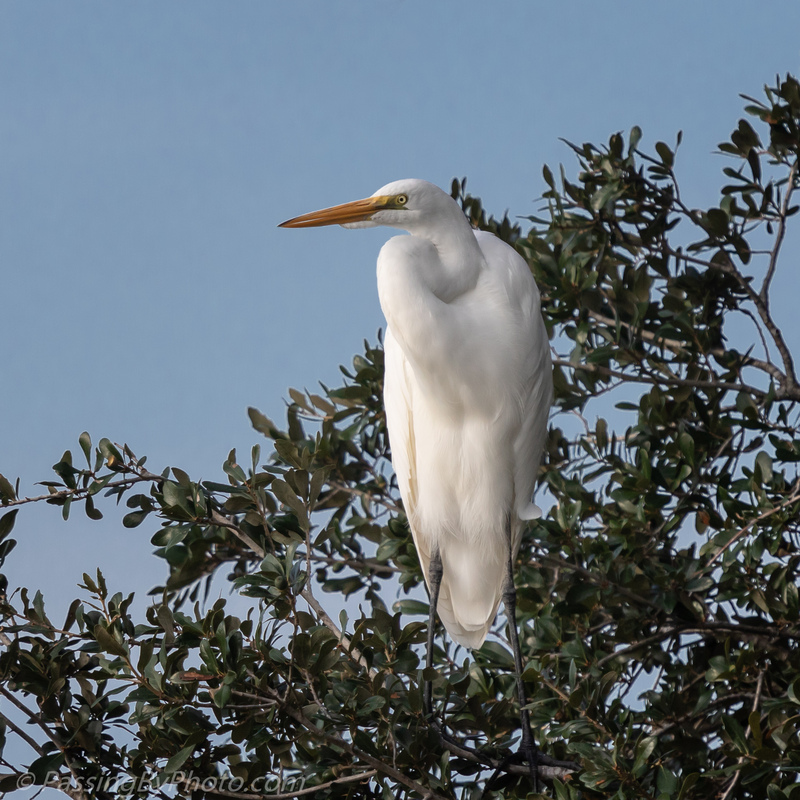 Wonderful capture, Ellen, of what to me has always been a difficult subject–the Great Egret. There is always a fine line between capturing the brightness of the white feathers without blowing out the highlights and your task was even harder because of the mixed light. The image has a beautiful serene feel to it, the perfect way to start a day. Thanks, Mike, glad that you liked it. The white birds are a challenge and as you might expect “delete” is pretty common. This egret was a lovely start on our arrival at this dike that morning. Such a beautiful, elegant bird. They are, and I can’t resist taking the shot every time I see one in a good spot. Wow, Ellen, it looks as if he stood very close to you. He was pretty close, Greta, in a tree line that is parallel to the road across the dike.